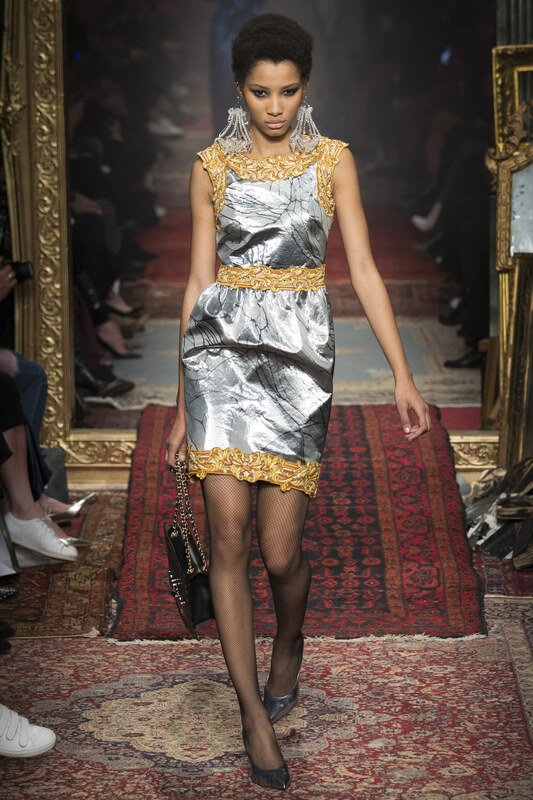 Jeremy Scott sent out an army of "bonfire" survivors of the most elegant kind for Moschino Fall 2016. What did they survive? A revolt against the Renaissance by a rogue group of monks who went on a burning rampage of art, books and clothing. Fast-Forward to 2016 and of course, Jeremy Scott put his artistic spin on it by playing off smoke and burning motifs through the iconic Marlboro cigarette box and logo. This time, the warning read: "Fashion Kills." 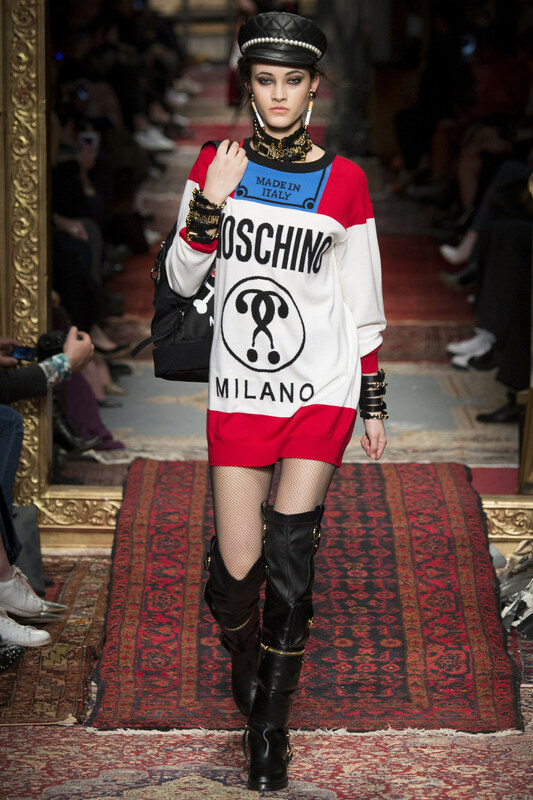 Jeremy Scott brings his tongue & cheek humor and his love of clever puns to Moschino season after season. 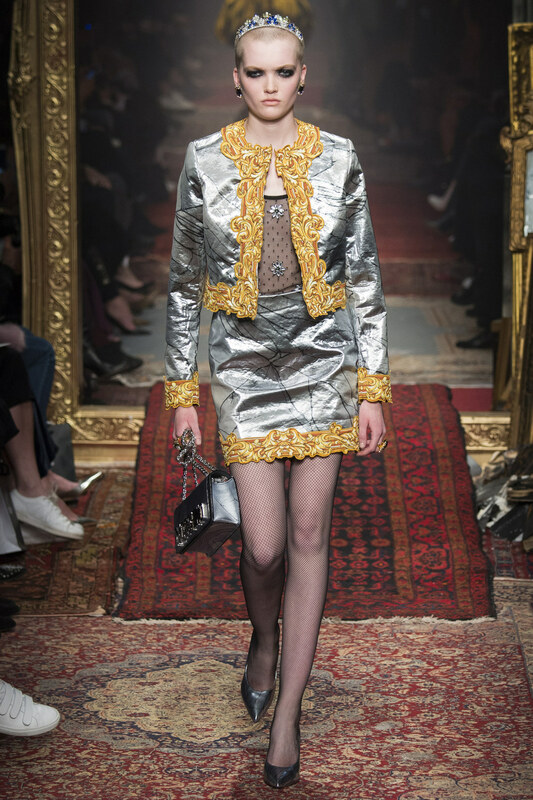 The setting and runway was lavish and gilded to convey the opulence of the Renaissance. The fashion was an eclectic mix of biker, 80's and red carpet gowns. 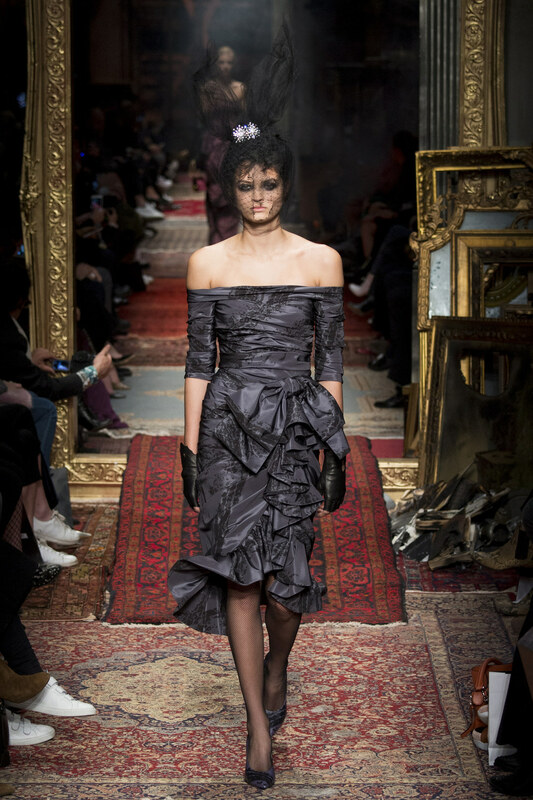 He gave us lots of leather and short ruffled dresses at the beginning of the collection. As looks continued to come out, they got very dressed up. Some of the gowns reminded me (a little) of Alexis and Crystal, after the Carrington manor burned down of course. How else would we explain the burnt-through fabrics? Some of the dresses were even propped to release smoke. Amazing. 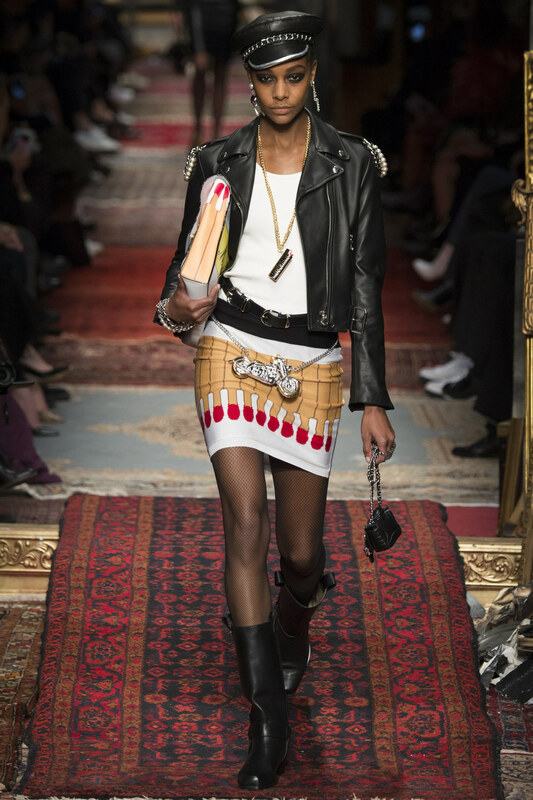 You could literally say Moschino fall 2016 was smokin'!! Fabulous milliner Stephen Jones created the headgear. I love the collection but I really LOVE the last group of dresses and the dramatic poses.